Details: send us your work of art and we will send you a different work of art in exchange. There is no charge for this service. 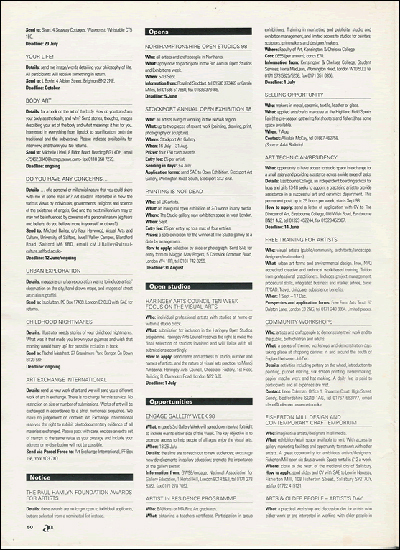 No restriction on size or number of submissions. Works of art will be exchanged in accordance to a strict numerical sequence. We make no judgement on content. 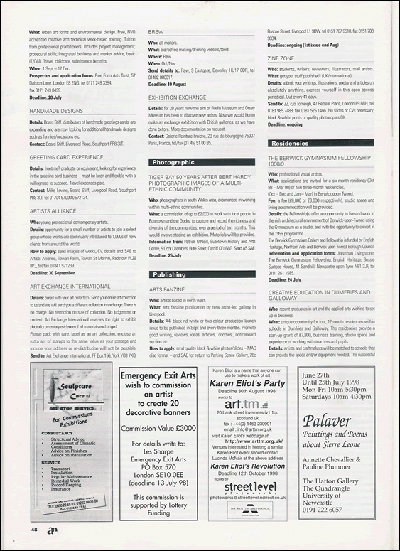 Art Exchange International reserves the right to exhibit photodocumentary evidence of all materials exchanged. Please pack with care, enclose an extra set of stamps to the same value as your postage and include your address or re-distribution will not be possible. 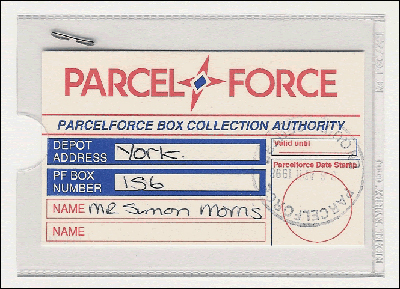 To facilitate the exchanges I purchased Parcel Force Box York 156 for one year. Details: bored with your art collection? Send your entire art collection to us and we will send you a different collection in exchange. There is no charge. No restriction on size of collection. No judgement on content. Art Exchange International reserves the right to exhibit photodocumentary evidence of all materials exchanged. Please pack with care, label as an art collection, enclose an extra set of stamps to the same value as your postage and include your address or re-distribution will not be possible.